I don’t know about you, but I’m pretty confused about copyright issues, and what students can and cannot legally do with images, videos, music, and audio in their online projects. So I sent out a “tweet” on Twitter asking for what people thought were the most simple and accessible resources out there for teachers to learn more about this issue, and within thirty minutes received a wealth of links. I decided it was worth creating an other “The Best…” list. I’ve divided this list into ones for teachers and ones for students. However, I gotta’ say that I personally gained a clearer understanding of copyright issues from some of the student links. Stacy Bodin has created an exhaustive collection of great links on the issue — both for teachers and for students. Melissa Techman puts this above every copier in her building. Maryna Badenhorst has a lot of info on copyright (look under “Permission Documents”) Also, while you’re there, take the time to look throughout her extensive site! Stacy also suggested a site titled Taking the Mystery Out of copyright and fair use guidelines (not to be confused with a similar sounding site for students) and a resource from Temple University. Fair Use Guidelines For Educational Multimedia was recommended by Anne-Marie Gordon. Copyright And Fair Use: Guidelines For Teachers is a very simple, and very good, one page PDF document. The Classroom Copyright Chart shares copyright and fair use guidelines for teachers. Creative Commons: What Every Educator Needs to Know is the title of a great post at Langwitches. It contains several excellent resources. The American Library Association has some excellent interactive copyright tools. Thanks to BJ Berquist for the tip. 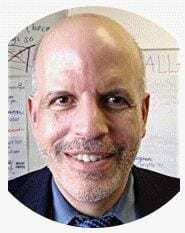 The Educator’s Guide to Copyright, Fair Use, and Creative Commons is a must-read post by Ronnie Burt over at The Edublogger. Long-Awaited Ruling in Copyright Case Mostly Favors Georgia State U. is pretty interesting. The Copyright Genie is pretty cool. Using Digital Images: An Educators Guide is a useful post. 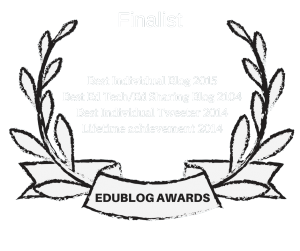 Images, copyright, and Creative Commons is from Edublogs. 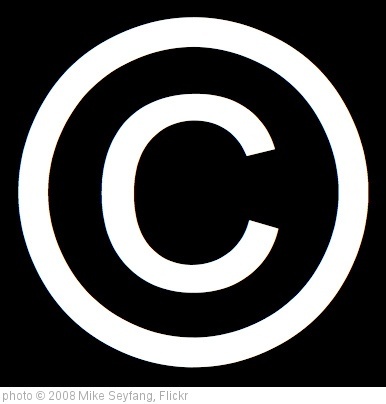 THE EDUCATOR’S GUIDE TO COPYRIGHT, FAIR USE, AND CREATIVE COMMONS is by Sue Waters. An Extensive Guide to Copyright and Fair Use is from Richard Byrne. Stacy Bodin’s site, as I mentioned, has an exhaustive collection of great links on the issue — for students, too. Taking The Mystery Out Of Copyright was suggested by kimwren1. So… You Want (Have) To Create Something? is from Langwitches. So…You Want to Declare Fair Use is also from Langwitches. Copyright Flowchart: Can I Use It? Yes? No? If This… Then… comes from Langwitches. Copyright a Little Fuzzy? is a great infographic from Langwitches. Share This Letter With Students to Show Them the Cost of Copyright Infringement is from Richard Byrne. Thanks to everybody who sent-in links! Just wanted to point out there’s a portal for copyright and fair use information – Stanford Copyright and Fair Use site (http://fairuse.stanford.edu/). Disclaimer: I intern for one of the site sponsors. Maybe I missed it but here are my fav. things for teachers. Of course the wonderful (and recent winner of a great award for his website conx.org) Richard Baraniuk. His voice quivers with intelligence and find him on TED Talks along with Larry Lessig who gives the perfect presentation and arguement for a world of FREE intellectual development. If you also do public speaking classes – his is an example of a near perfect delivery of content and emotion….. I really am a big big big fan of Richard Stallman. He’s a hero of mine, very little recognized but he gets it – how we need open source and participatory culture in our online world. (he created the GNU O/S ). You can find his videos and talks about copyright online. Very thorough, intelligent and from experience and his heart…. I think all children should know how “jailed” Mickey Mouse is!